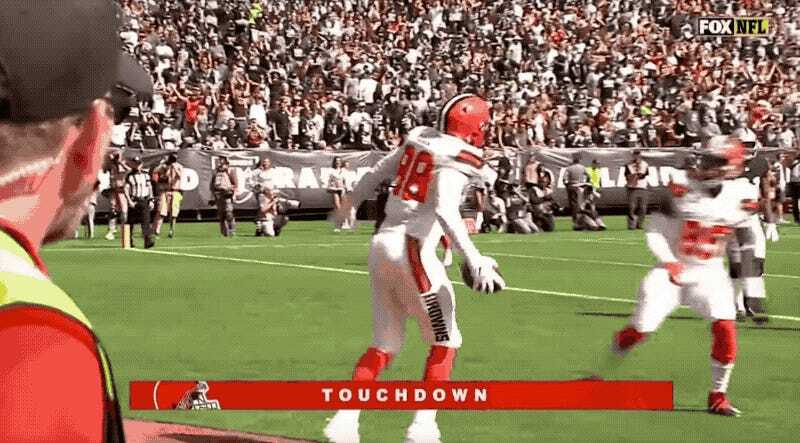 Darren Fells and David Njoku of the Celevand Browns recently did a Dragon Ball Fusion inspired touchdown celebration. They are not alone. Here’s how that celebration compares to the original. Fells and Njoku have been planning this for months. A day later, indoor pro team Green Bay Blizzard did their own Fusion celebration. Dragon Ball has long been a popular celebration for touchdown and tackles. JuJu Smith-Schuster has become synonymous with Dragon Ball. To the point that his DBZ celebration is even in Madden. Dragon Ball poses have also found their way into other sports.